Why limit your business to just having an online only presence? 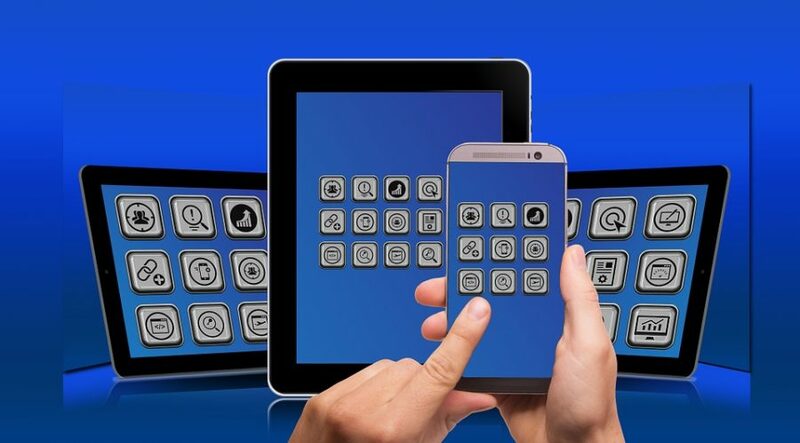 B2B and B2C have taken advantage of using mobile apps to grow their businesses. Smartphones will take your business to a new level. Technology is moving fast. You have to keep up with the pace. Gone are the days when you could comfortably offer smart promotions and competitive prices to making a long-term profit. Competition is fierce. If you want a successful business, you have to reach your customers where they are. Turning your business into a mobile app is a unique marketing opportunity, tailored exclusively to your audience. This is a direct link to them. They will be able to order, make requests, and leave reviews easily and conveniently. Cut out the barrier between your business and consumers. Take away the difficulty of locating you online. An app will give them the ability to shop whenever they are ready, wherever they are. By making their online experience easy, you’re adding value to them and to your business. Having a smartphone is seen as a necessity for most people these days. And downloading apps are second nature to consumers with mobile devices. It’s a lifestyle trend. They can access your app while travelling, walking, eating, relaxing or when they can’t get an internet connection. Being able to access apps offline takes away the stress of typing in a URL and searching for your business online. In addition, there are fewer distractions using an app compared to roaming about on the web. As a result, your customers are likely to focus while using your app. According to research, 45 percent of smartphone users buy what they need, using their mobiles. They’re keen to spend money if you’re selling the products they’re looking for. The more they use it, the chances of developing a loyal relationship with you increase. These are the days of instant gratification for people. Your customers are no different. If they can get what they want, when they want it, they are more likely to buy it there and then. At the push of a button, your app is available to them. They are able to read product information, check prices and get information about your services at their convenience. Moreover, people carry their mobiles everywhere they go. Therefore, they have instant access to your products when they need it. Everyone likes to share good experiences. Social media is designed just for that. Your brand will be your customers’ topic for discussion. Make it easy for sharing by integrating social share buttons inside the app. This is a great way to engage your customers and promote your brand. Another cool feature of apps is the ability to send personalized, pop-up notifications to your customers. Because people are always checking their phones, this is a great way to notify them of informative messages, special offers or discounts. In addition, apps work perfectly with consumer’s mobile lifestyles. It’s trendy, popular, convenient, easy and connects them directly to your business. Think of it as being in your customer’s pockets or handbags all of the time. To conclude, having a mobile app will increase your customer base. Therefore, engage your target audience by giving them a new online experience. Small businesses using mobile apps are still new. Become one of the first to step on the app ladder, and be way ahead of your competitors.